Updated: 4:44 p.m. | Posted: 9:56 a.m. The family of a man shot by Burnsville police in March is suing the city. Map Kong, 38, was in the middle of a mental breakdown as he sat in his car in a McDonald's restaurant parking lot, according to the suit. Police were responding to reports of suspicious behavior at the McDonald's and found him rocking violently in his car, waving a knife. Police broke a window in Kong's car and used a stun gun on him when he didn't respond to commands to put down the knife and get out of the car. He subsequently got out and ran. Police shot him, explaining later that they feared he would try to attack people stopped in traffic on nearby Minnesota Highway 13. 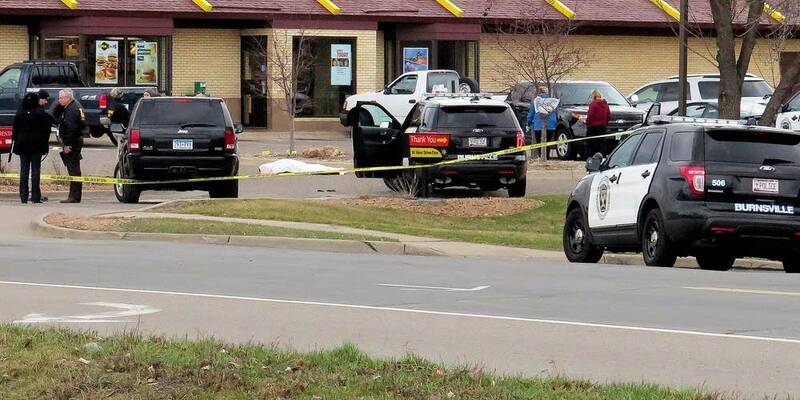 A Dakota County grand jury cleared the three officers who shot Kong of any criminal charges. The suit says the shooting was based on unreasonable speculation, and the use of deadly force wasn't justified. It claims the city didn't properly train officers to respond to people in Kong's condition. An autopsy also found traces of methamphetamine in Kong's system. Kong family attorney Stephen Meshbesher said Kong was suffering from a mental health breakdown. According to the complaint, Kong's mental illness was caused by childhood trauma. His family fled Cambodia when he was a small child after Kong's village was bombed. Meshbesher said the officers didn't respond properly to his needs. "Instead of getting medical help, they became violent in their pursuit of confronting the issue," said Meshbesher. "And as a result of that confrontation they caused this result." The attorney representing the city of Burnsville, Joe Flynn, said the suit is without merit. And Flynn said officers Taylor Jacobs, John Mott and Maksim Yakovlev were properly trained to handle crisis interventions and acted appropriately. "I would note that an expert who trains law enforcement on handling crisis situations, including mental health issues with suspects, has commented that the officers here really had no choice but to do what they did," said Flynn. The civil rights suit was filed in federal court and seeks more than $1 million in damages.